Keeping your business organised is crucial for efficient productivity. 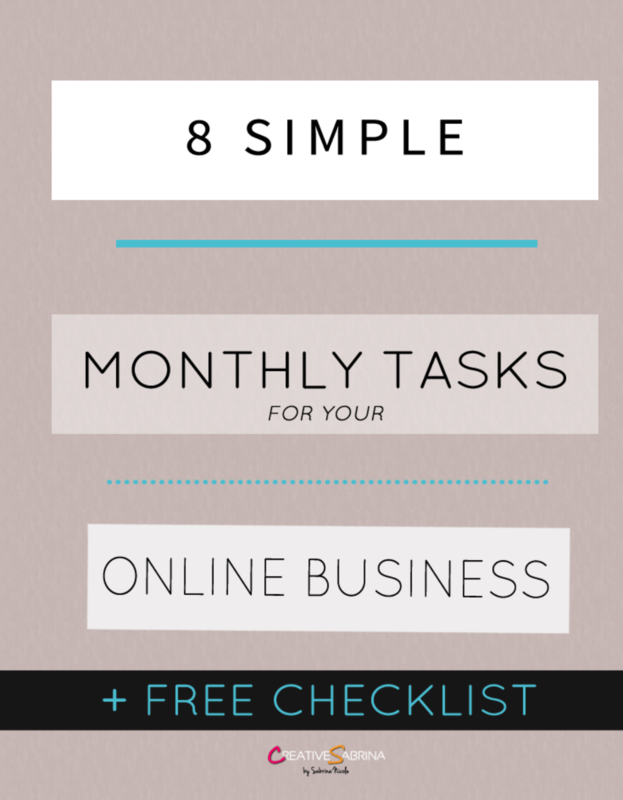 Keep up to date with your business with these 8 easy and simple tasks. I’ve also prepared a handy free checklist available for you to download. Maybe you’ve signed up to newsletters you don’t actually read, have a ton of spam emails or need to move your replied emails into a specific folder. Keeping on top of your emails will help your productivity. The more you do this the less of a headache it will be the next time you open your account. Share new products or services you may have with previous customers. Send them a special offer, ask them you join you on social media or ask them if they need further help! Making sure your clients don’t forget about you, but don’t bombard them with emails. A simple monthly reminder should do the trick. Are you getting the most of the services you pay for? are you keeping receipts and keep track of your expenses? Hopefully you’ve answered yes to these. Recording all of your expenses and getting rid of subscriptions that aren’t benefiting you will keep your bank balance healthy. Running low on printing paper, down to your last few flyers? Double check everything that you use and stock up so you have them handy for when you need them next month. It’ll be a frustration if you can’t find a pen that actually still works! make sure all your plugins are up to date – especially if you are using WordPress. If you’re always on the move then keep your apps updated on your phone. Not only will you keep up with potential new features, you’ll make sure you have the best performance. Remember to remove any apps or plugins you are no longer using. Don’t fall behind on your to do list, set new goals or update your existing ones. Take the time to prepare for the following month. Schedule tasks in advance. How did this help you? ?